LEAP Africa in partnership with Shell Nigeria Exploration and Production Company [SNEPco] presents the 2013 Youth Empowerment Training programme designed to equip youths in Lagos with soft skills (Values, Leadership and Work Skills) which will enhance their leadership, employability, job creation prospects and competitiveness to achieve an improved quality of life. Apply now to be one of 100 youths comprising Certificate holders, Polytechnic Diploma holders and graduates in Lagos State, who will benefit from the Programme. Support Youth through the process of looking within to take stock of their lives- dreams, visions for the future, current skills,talents and inclinations. Expose youths to the concept of leadership and value skills by offering tools require for personal and community transformation. Provide youths with ideas for creating livelihood and work experience through social problems solving. Between ages 18 – 35 years. Be passionate about community service. 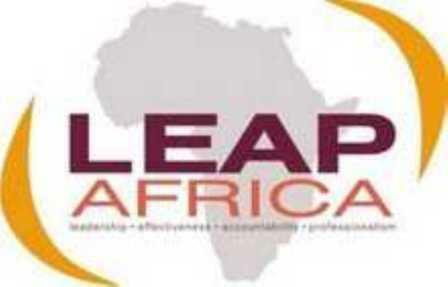 Like Leap Africa’s page on facebook, www.facebook.com/LEAPAfrica. Download the application form online click here.